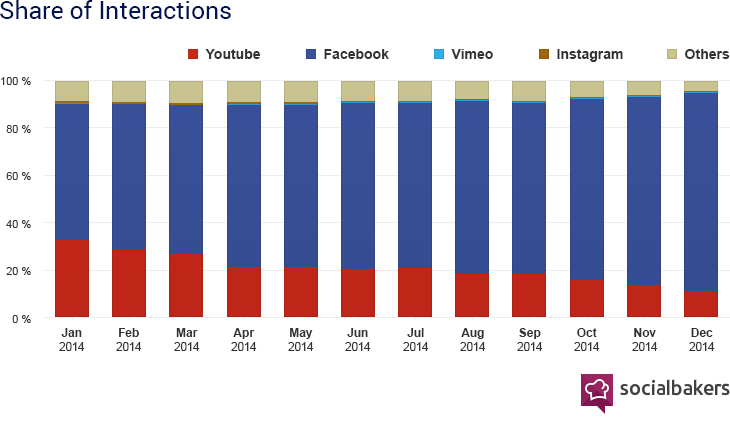 It shouldn’t come as a surprise that Facebook video is on the rise. Just this week, the social giant announced a slew of updates focused on getting users to watch more videos on Facebook. If you haven’t given any thought to video content it’s time to start! Here are some quick tips to keep in mind when you begin incorporating video to your Facebook strategy. This means to upload your videos directly to Facebook. Of course, you can still upload videos to your YouTube channel if you have one. But keep in mind that videos uploaded natively to Facebook are getting more views and interactions. When a user comes across a native video in their Facebook newsfeed, the video will start playing automatically without sound. Take advantage of this feature by making sure your videos compel the viewer to continue watching with a powerful opening within the first 3 seconds. User behavior shows that most people stay in the Facebook and don’t go on Facebook to watch long videos. With that in mind, keep your videos short. Viewers are more likely to watch the entirety of a video if it’s less than two minutes long. When you upload your video to Facebook, you’ll have the option to feature the video as well. Featuring the video will give it a more prominent placement on your page and in your videos feed. It also doesn’t hurt to pin your video to the top of your page’s timeline. If your video is educational or inspiring, people will naturally share your content leading to increased views. However, it never hurts to give your video a bit of a boost with a carefully-targeted Facebook Ad. Thinking about incorporating videos into your Facebook strategy or have more questions? Let’s talk—we’d love to hear from you!